From shopping centres to independent fashion boutiques, Belfast's city centre is packed with shopping gems. There are two shopping centres in the city centre with more dotted around the city perimeter. The first to arrive was CastleCourt, which opened in 1990. It felt like little bit of America had arrived in Belfast with a US style shopping mall. CastleCourt’s resident department store is Debenhams with two floors of fashion, beauty and interiors. You’ll also find high street favourites GAP, Warehouse, Wallis, Dune, Boots, Superdrug and more. The food court has lots of options for hungry shoppers looking for a fast food fix. With a large seating, area you can pick and mix from KFC and Burger King to Spud-u-Like and lots more. There are also some great independent retailers nearby. A quick walk across Royal Ave and down Rosemary Street you’ll see Liberty Blue on Lombard Street. This independent boutique has been a stalwart on the local fashion scene starting off life on the Lisburn Road as a vintage store specialising in vintage Levi’s to the current version in the city centre. Its vintage roots still have a strong presence with the interior décor and the affordable, quirky, vintage-inspired fashion. Fresh Garbage is also just around the corner – a Mecca for alternative fashion stacked high with hippie skirts and scarves to studded baseball caps, glitter eyelashes and neon gas masks - all with the light scent of patchouli. It’s a shopping experience to dazzle the senses so you may need to have a sit down with cuppa afterwards and luckily there are few great coffee shops nearby including local café chain Clements. The newer addition to the Belfast shopping scene is Victoria Square – not a shopping centre – but a shopping ‘precinct’ (as it doesn’t have any doors!). Victoria Square opened in March 2008 and houses fashion retailers from Topshop, H&M and River Island, to Reiss, Ted Baker and All Saints. High-end luxury can be found at Hugo Boss, House of Fraser and designer boutique Cruise. Restaurants to try include Wagamama, Nandos, TGI Fridays and Cosmo – as well as Starbucks and Costa Coffee for a caffeine fix. A dander (as it’s done in Belfast) around to Arthur Street, which runs parallel to Victoria Square, and you’ll find some quirky stores including Avoca and Cath Kidson. The hidden gems in this area will delight the eyes and the tastebuds! 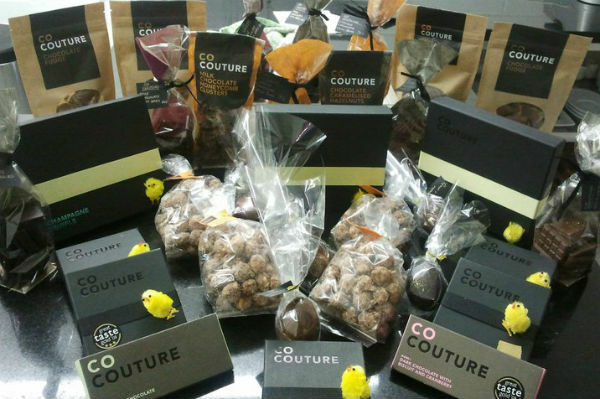 No trip to Belfast is complete without stepping into the wondrous delight that is Co Couture. Around the corner from Arthur Street, tucked away in a basement store on Chichester Street, tip-toe down the stone steps and through the arched doorway that makes you feel like you’re about to enter a hobbit home in the Shire! Turn right and the smell of chocolate takes you straight to your happy place. The chocolate delights are handmade on the premises and there’s always sample of high quality chocolate to taste. I highly recommend ordering a hot chocolate and taking a quiet moment to savour the chocolatey goodness served with homemade marshmallows! Take home a box of truffles and a few ‘Temptation Bites’ to nibble on - chocolate heaven! Now nicely in a chocolate induced haze – float around the corner to Una Rodden’s boutique at 50 Upper Arthur Street. Una is Northern Ireland’s fashion star and her couture atelier is located at the back of her boutique. The Buncrana-born fashion designer shows her collections on the catwalk at Belfast Fashion Week and recently created a fashion film and art-style fashion installation of her AW13 collection. * If you need a fabulous gown for a red carpet event you can have one made to measure or choose an off-the-rack piece from the well-stocked boutique, which Una selects from small design houses in Paris. More Information *Click here for a video on Una Rodden's AW13 collection. Main photo by Neil Kerr. How does this list rate? 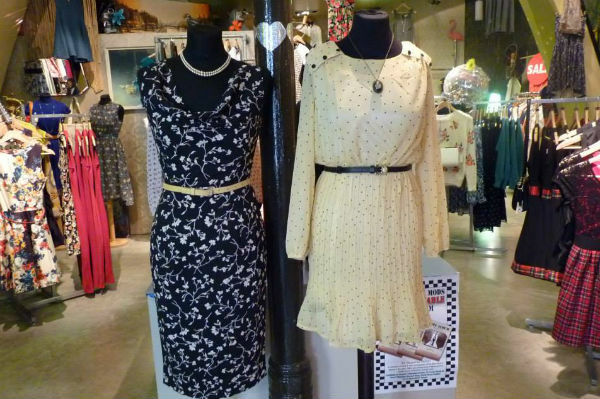 What are your favourite #Belfast fashion haunts? @Groupon_UK #grouponguide ____ Check out our deals for Belfast shopping.